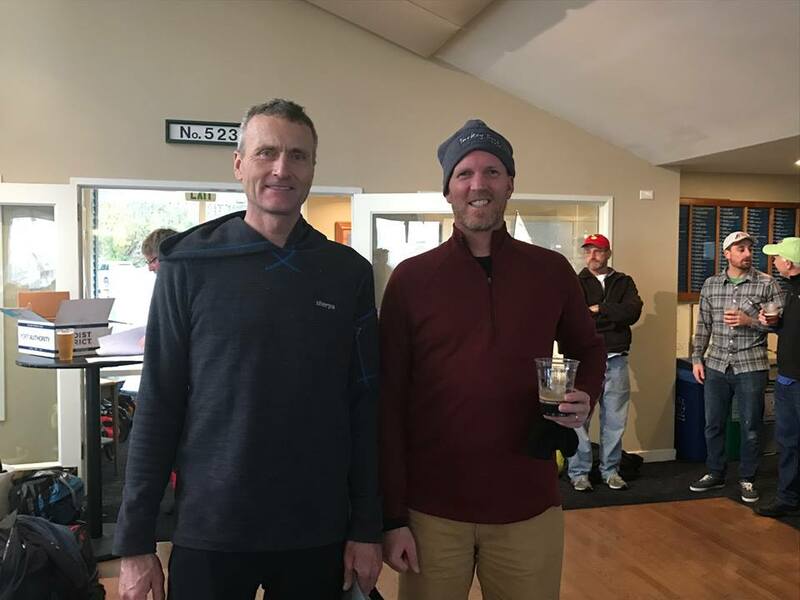 Seattle’s Corinthian Yacht Club’s annual Turkey Bowl regatta was held over November 19th and 20th. 12 RS Aeros competed with a good mix of sailors new to the fleet and early adopters. The wind for both days was the shiftiest in both direction and speed I have seen sailing at this venue. (I did my first Turkey Bowl crewing a 505 in the 1980’s). A strong northward current was a significant factor during lulls. Carl Buchan* was up to speed right from the first gun and rarely on the wrong side of the shifts or current. Once in the lead he showed text book perfection to never open the door even an inch for the boats behind to find a passing lane. It was a joy to watch and I had a front row seat as I chased him around the course most of the weekend. For me in 2nd place it was a weekend of keeping my head out of the boat, working the shifts and not making many mistakes. I was a bit slow off the line several times partly as I opted for conservative starts but once I get a good lane I appear to have a slight upwind boat speed advantage on everyone. I am working really hard at sailing very flat with minimal side to side rocking. I am also changing gears with the Cunningham and vang often and working the main sheet all the time. I find the Cunningham is very effective in the RS Aero for adjusting to changing wind speeds. In 3rd, David Brink was fast but got caught out a few times in current and shifts. He is faster than me downwind so I need to go get a few tips from him on what he is doing besides being 30Lbs/15Kg lighter! Upwind David appeared to be using a footing VMG mode that was popular early in the Seattle Fleet but I think that is now losing ground to a much higher pointing angle that comes with more vang tension and using the sheet to get back to speed after waves etc. In 4th overall Andy Mack did very well as the fastest of the 7rigs on a weekend that clearly favoured the 9rig. Basically everyone showed good speed. This weekend, the big separations were tactical not boat speed. That is something I like about the RS Aero, it is a boat that rewards good sailing not some boat specific element that so many one design classes have. *Carl Buchan is an Olympic Champion winning the Gold medal at the 1984 Olympics in Los Angeles in the Flying Dutchman class as crew. RS Aero designer Jo Richards took the FD Bronze medal at the same Olympics! Carl has also won a Star World Championship as helm too!